We've launched new programs and added valuable new features to the magazine in order to more deeply immerse our readers in the wine world. At Wine Enthusiast, we’re always looking for ways to improve the magazine to better serve our readers, helping them to make sense of this sometimes complicated and oftentimes overwhelming subject of wine. Our magazine is one part of Wine Enthusiast Companies; another is our events division, a team of individuals dedicated to creating excitement about wine and food across America. Here are some changes we have made or are in the process of making in the magazine and with our Toast of the Town food and restaurant events. For the magazine, there have been a couple of exciting changes you may already have noticed. In our annual Best of Year issue, we have traditionally drawn up our year-end lists of recommended wines as the Top 100 Wines of the Year and Top 100 Best Buys. But for the first time in our Best of Year (December 31) issue, wines worthy of the “Cellar Selection” designation by our editors were presented in a distinct list of 50, while top-scoring wines crafted for more immediate drinking were presented in what we call The Enthusiast 100. You can find these lists on our Web site at www.winemag.com/top2007. It’s an important distinction, since wines that are crafted to be aged shouldn’t be compared, in a list prepared for consumers, to wines that are designed for immediate consumption—and, depending on whose numbers you believe, that could be as much as 90% of the wines purchased in the U.S. Of course, many of the The Enthusiast 100 red and white table wines, sparkling, fortified wines and dessert wines will improve with short-term cellaring, so it’s not a strict rule. But we did want to point out the difference so when you make your buying decision you are far better informed: Cellar Selections are wines deemed highly collectible and/or requiring time in a temperature-controlled wine cellar to reach their maximum potential. This is where serious buyers will find the big guns—classified-growth Bordeaux, grand cru Burgundy, California collectibles. But our rankings still take value into account. As Tasting Director Joe Czerwinski, points out, you can buy a case of our Number One wine for the price of a single bottle of 2004 Château Pétrus. Another change in the magazine is the new Buying Guide insert, which is bound into every issue. It’s a handy, sturdy tear-out card that lists a selection of the highest rated wines from that particular issue’s Buying Guide—top-rated wines, Best Buys, Editors’ Choices and Cellar Selections. It’s an added value to the magazine, organized by regions, which will be a great help when you navigate the aisles of your favorite wine store or the wine list of a top-flight restaurant. On the event side of our business, I’m pleased to announce that we will be holding a new Toast of the Town event in Atlanta this year on April 17 at the Georgia Aquarium. I hope many of you have had a chance to attend one of our fabulous Toast of the Town wine and restaurant events. Held in New York, Chicago, San Francisco and now Atlanta, always with live music and always held in a strikingly beautiful cultural setting, each event draws thousands of wine- and food-loving attendees. It’s a chance for them to sample some of the great wines of the world and enjoy them with foods by the top chefs in that locality. These walk-around events are great for meeting new people or mingling with friends. Most importantly, you can go at your own pace and enjoy the foods you like with the wines you like, while making new discoveries as well. We welcome Atlanteans who will no doubt cherish this experience. Speaking of restaurants, this is our annual restaurant issue, and I think you’ll find the story more compelling than ever before. I love reading about the staggering variety of menus and approaches to the preparation of fine food, but as a long-time and devoted wine enthusiast, I get particular pleasure from reading the “wine list highlights” that accompany every profile of our Award of Ultimate Distinction recipients. 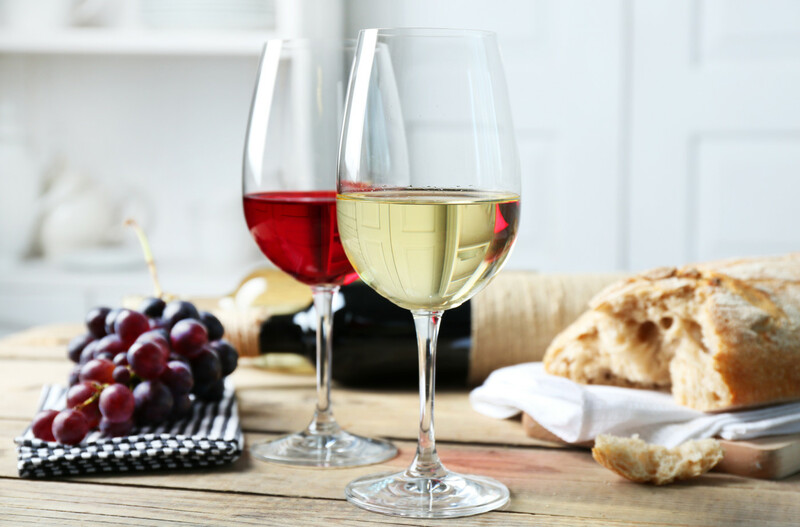 American restaurants of all makes and models have, in a relatively short period of time, greatly enhanced their wine programs to world-class level. There is wine-food pairing pleasure to be had in every state of the Union. We truly enjoy bringing that pleasure and excitement to you every month. As we make new and exciting changes at Wine Enthusiast Companies, we will never lose touch with the fundamental love of wine and good food that compelled us to create the company in the first place.